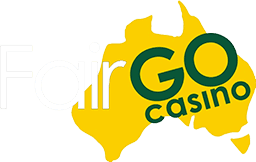 Please note that Australia-Casino.org is an independent and external review site and as such, we do not license, own nor operate any of the online Casinos listed on our site. Our job is to conduct a comprehensive research on the various online venues available and present our findings and recommendations to potential players who are interested in getting a full, accurate and unbiased understanding of the industry. As much as we would love to help with technical issues you may encounter as a player in one of the Casinos, we are simply unable to, and so you will be required to contact the Casino’s Customer Service directly. Those issues may include: Logging in, placing bets, deposits and withdrawals, unsubscribing from Emails and bonus requests. For anything else, feel free to contact us and let us know what you think. We look forward to hearing from you!